With internet shopping becoming more popular year on year, counterfeit goods sellers from all over the world are offering branded items. Consumers are paying for such goods based on their loyalty to your brand and being left disappointed. This is not only a lost sale for your organisation, it also leads to loss of confidence in your products and reduced genuine brand loyalty. Often the first step in enforcement against these online counterfeit stores is a phase of test purchases. POC Management has extensive experience in this area, and we develop any information obtained using Open Source Investigation techniques. Our Operatives record every step of the transaction, using screen capture tools, and any subsequent email exchanges are also saved to add to the evidential package we build for you. Despite the growth of internet sales, there are still a large number of criminals who operate in public places. Ticket touts, dealers of illicit products and stolen goods, and market sellers dealing in counterfeit items are just a few examples. 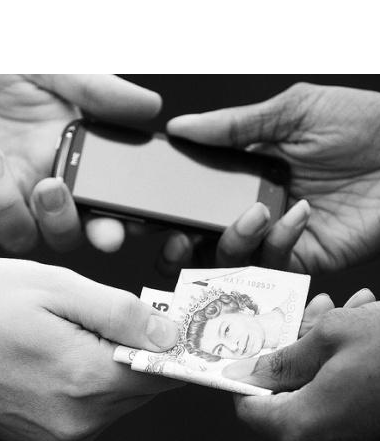 Whilst the process for enforcement is largely the same, with a need to secure evidence through purchases, the risks are higher, and the techniques are often far more specialist. POC Operatives carrying out this work have extensive experience from their previous police careers and are trained appropriately to deal with the risks involved. Using covert body cameras, and other cutting-edge technologies, we can record the entire transaction for evidential purposes. Where appropriate, a POC Surveillance Team is in support to develop a wider intelligence picture of the criminal network and locations used.